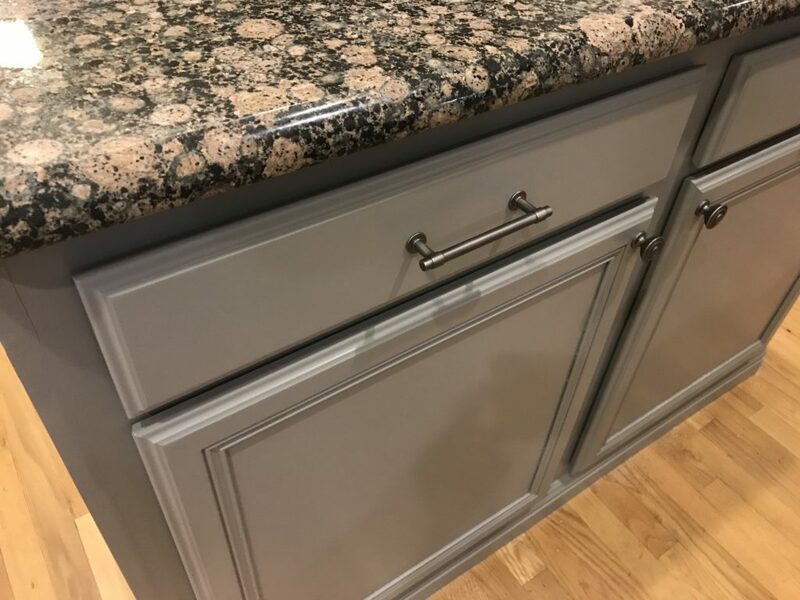 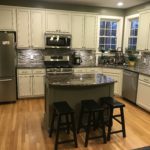 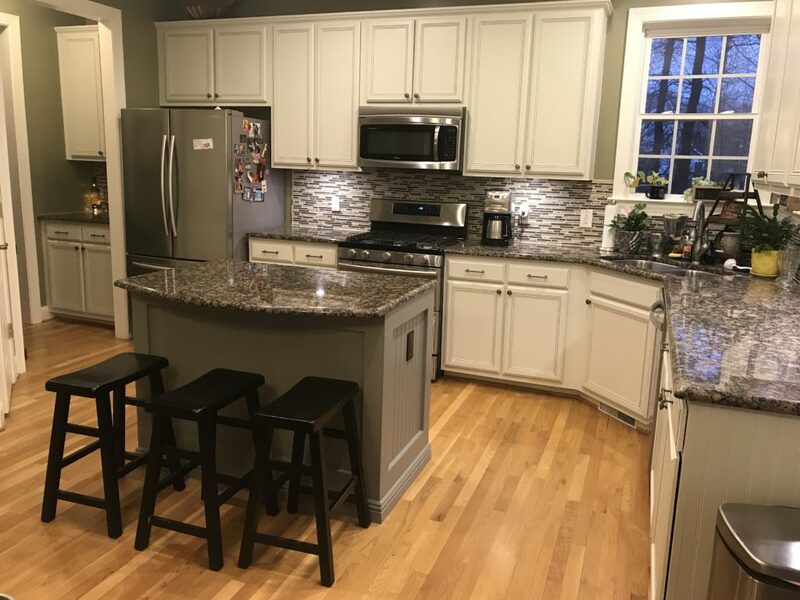 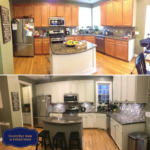 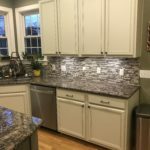 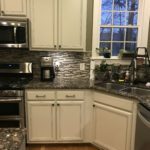 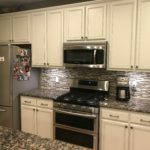 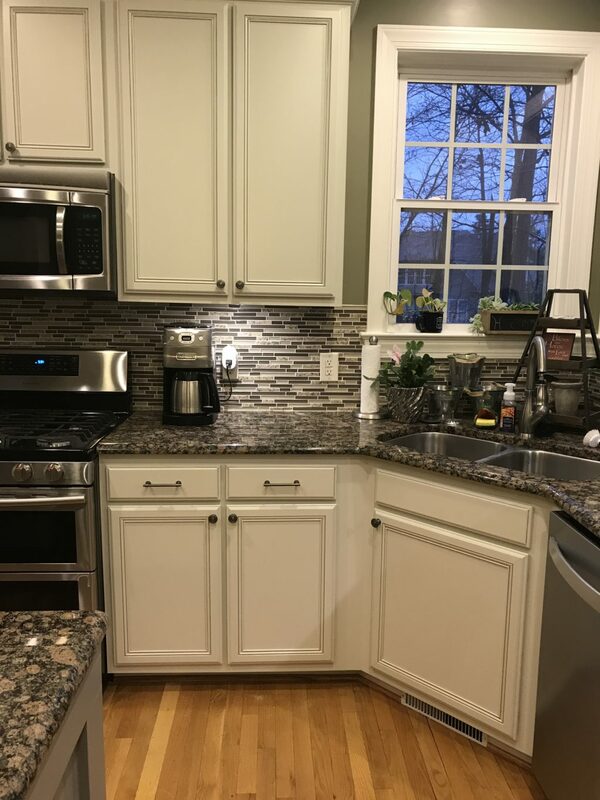 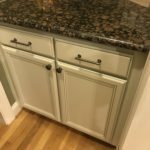 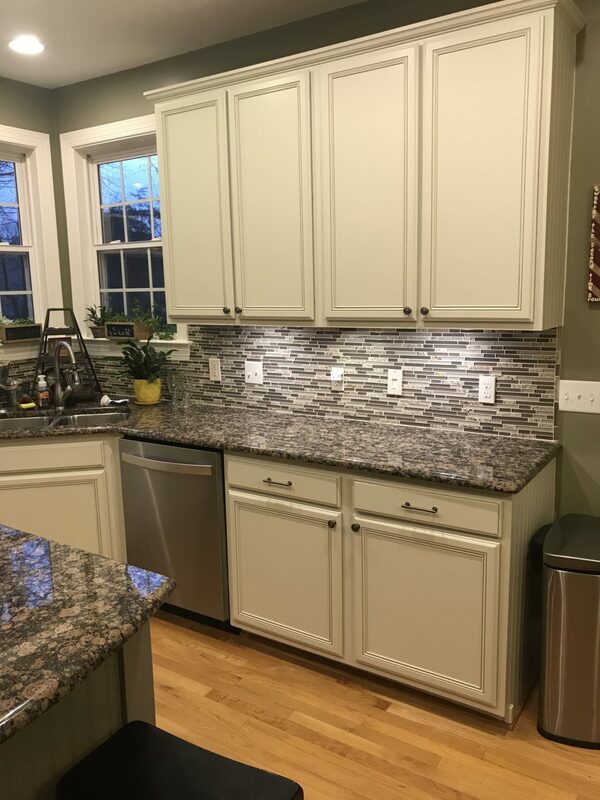 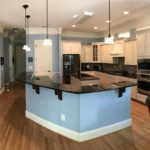 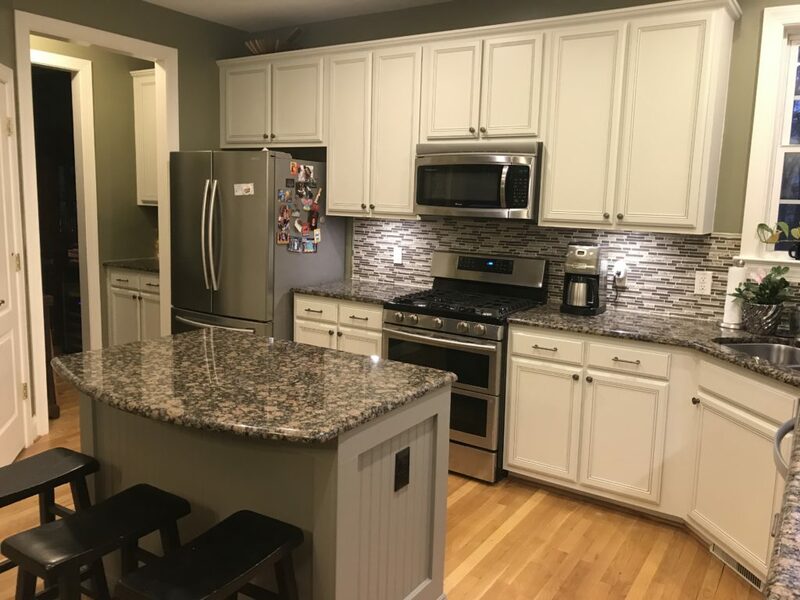 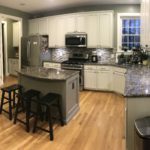 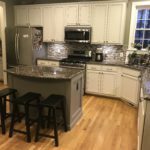 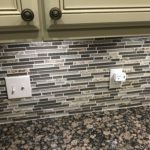 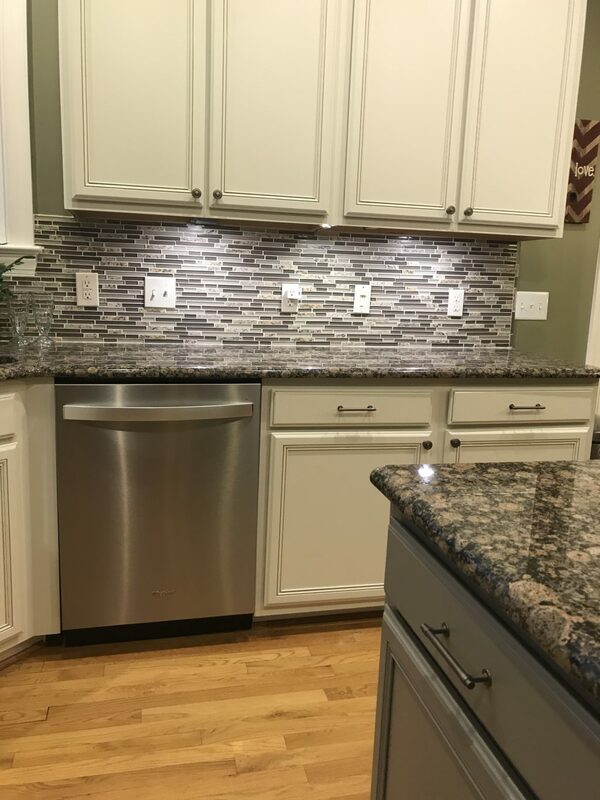 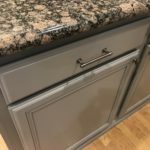 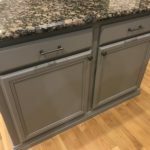 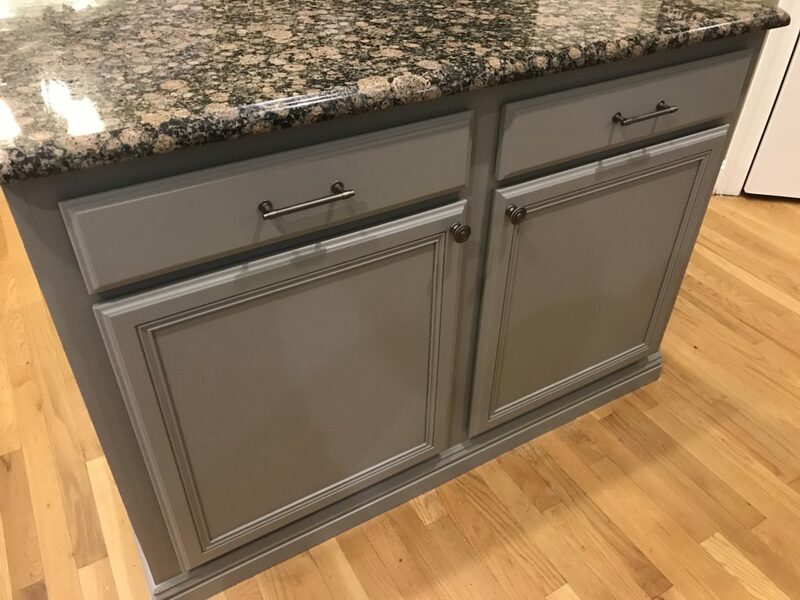 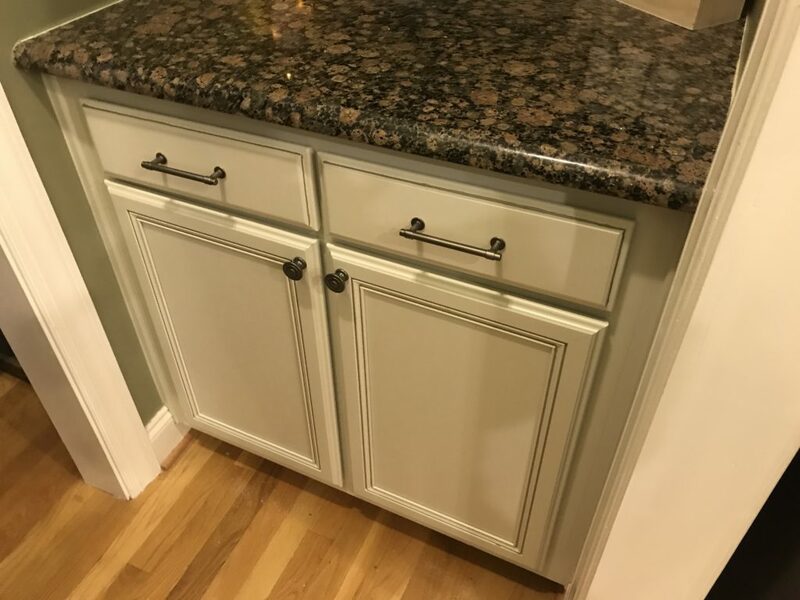 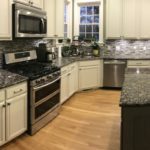 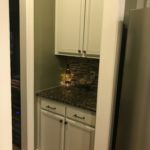 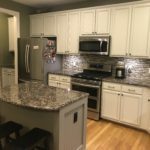 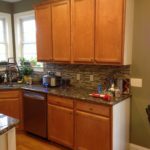 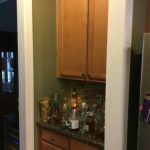 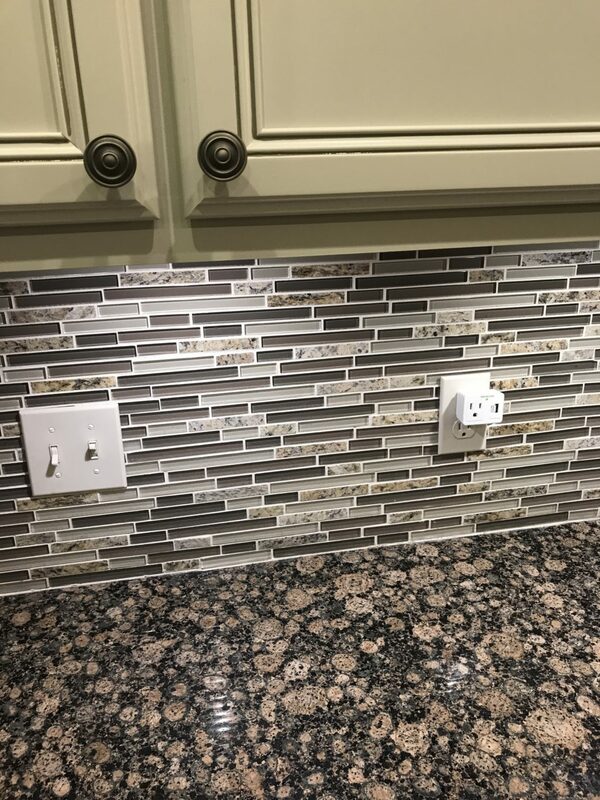 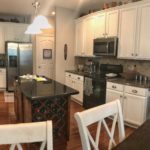 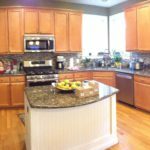 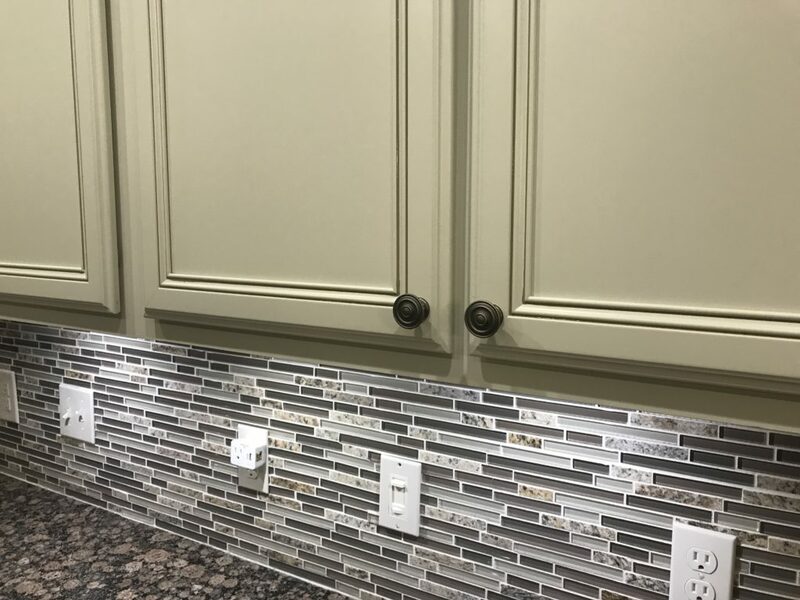 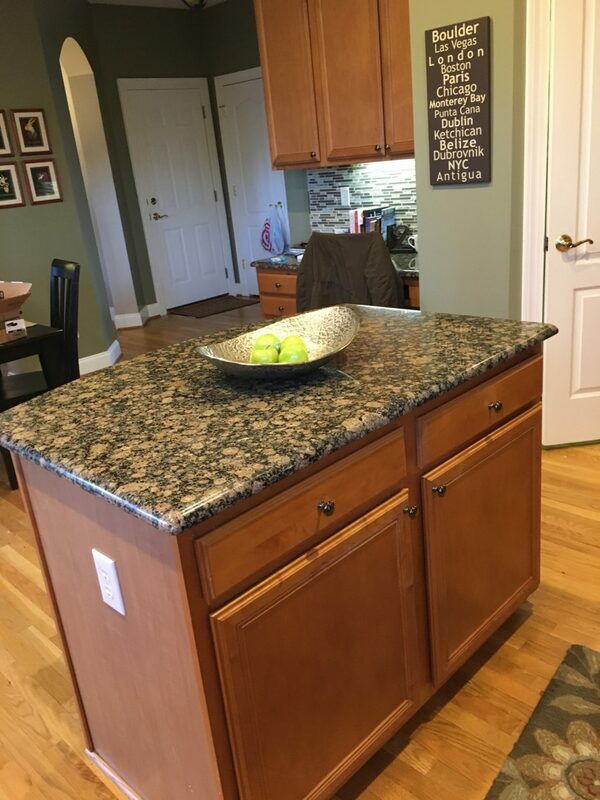 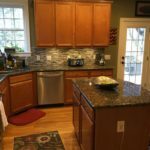 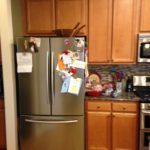 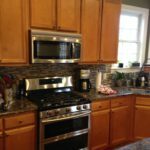 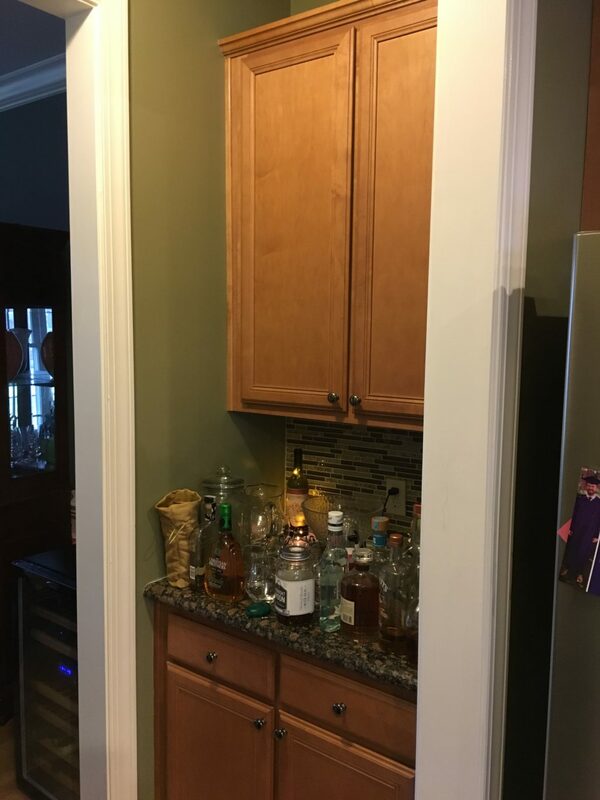 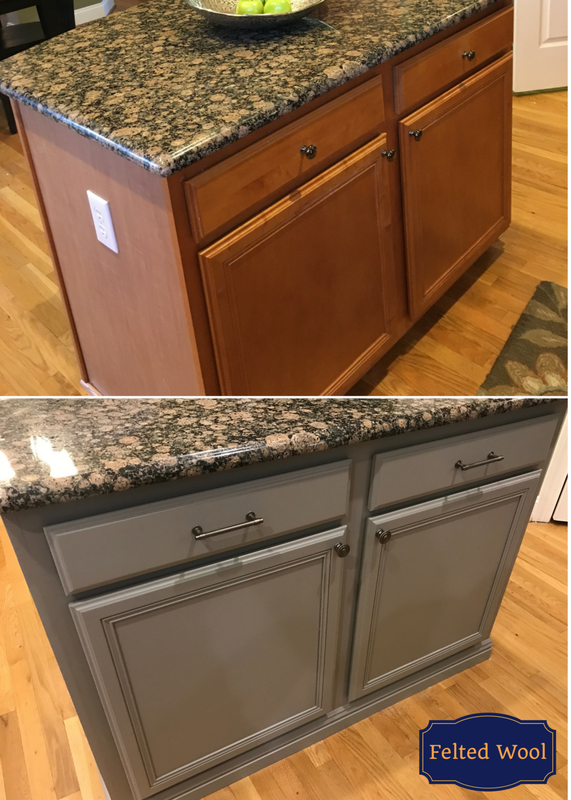 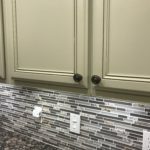 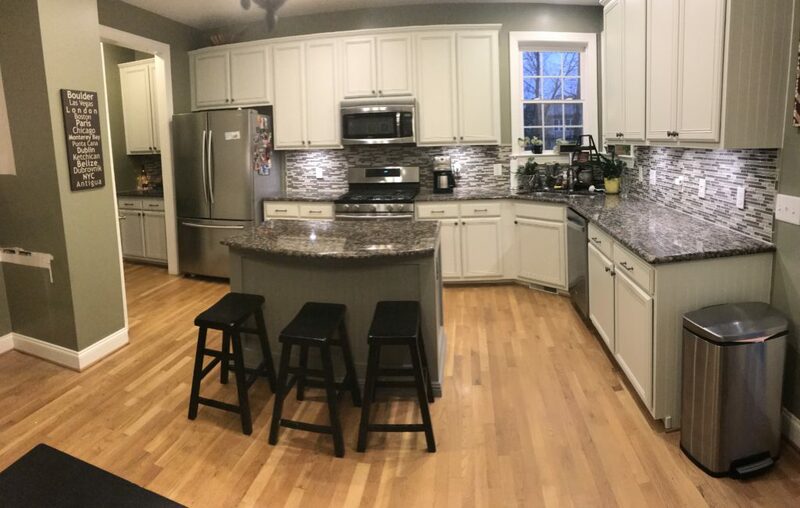 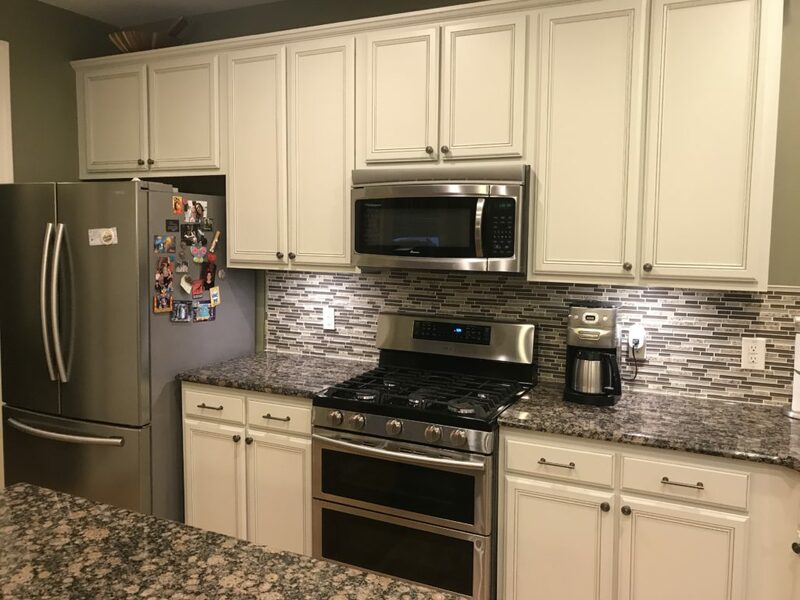 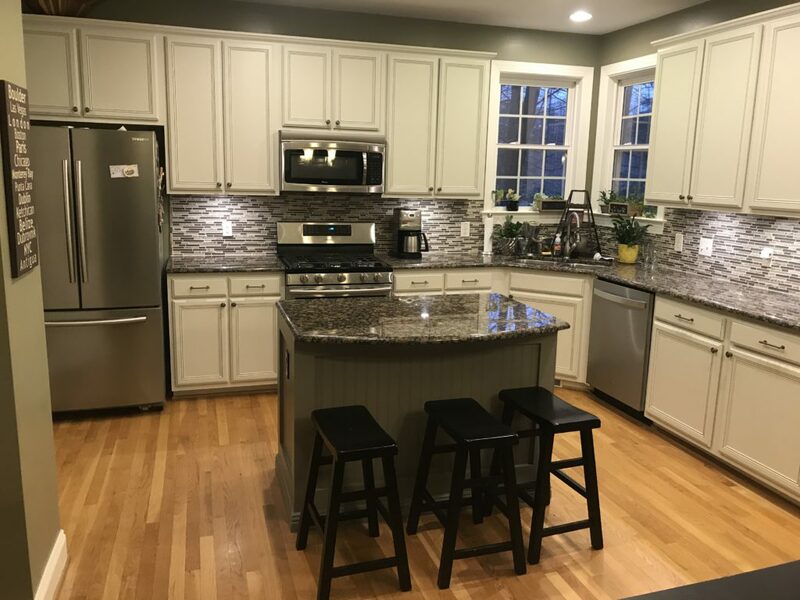 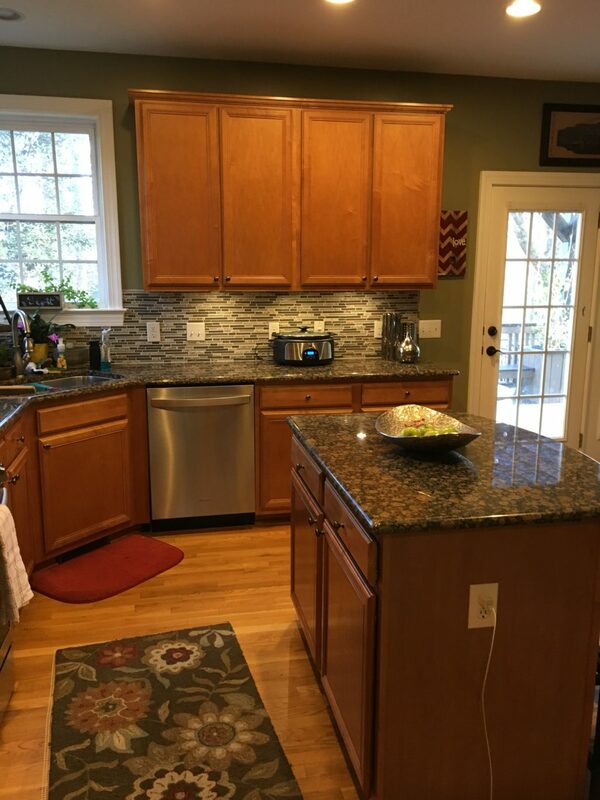 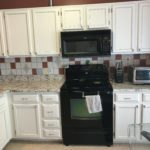 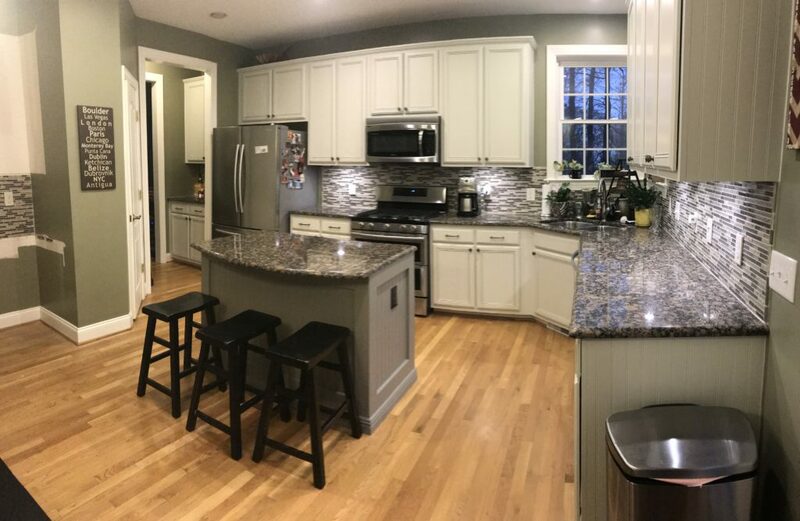 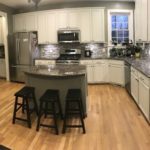 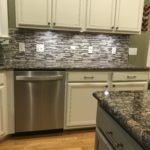 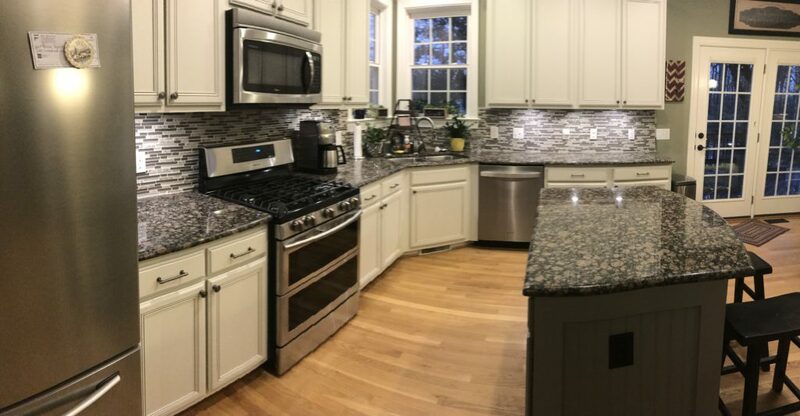 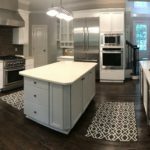 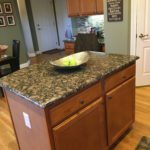 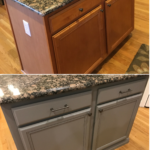 Our homeowners had already updated their backsplash so we chose colors that were in the mosaic tiles, for both the cabinets and the island. 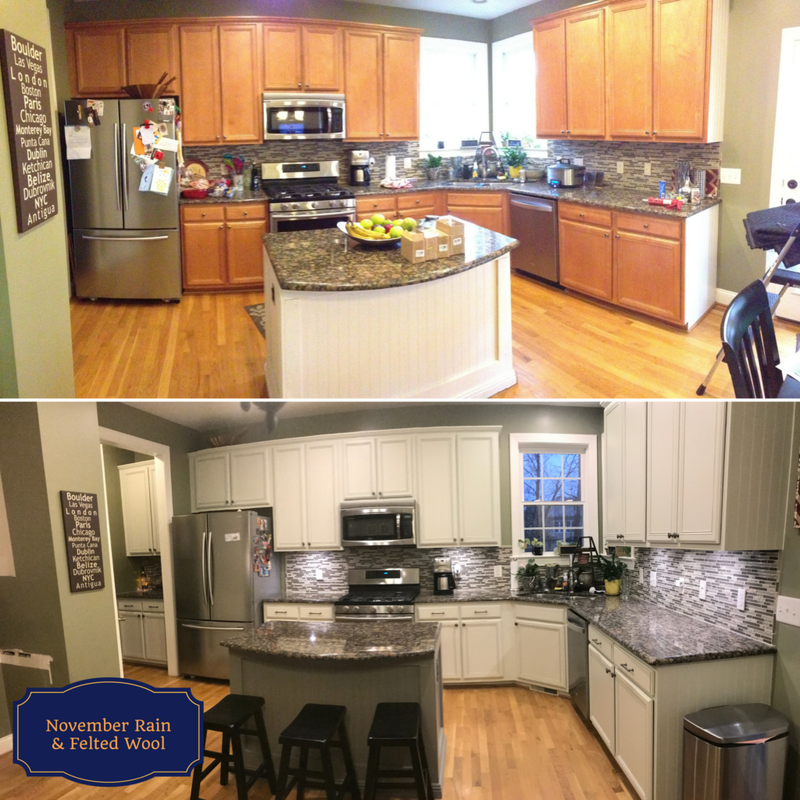 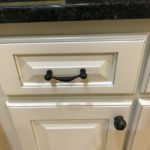 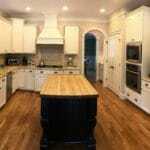 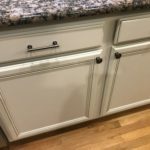 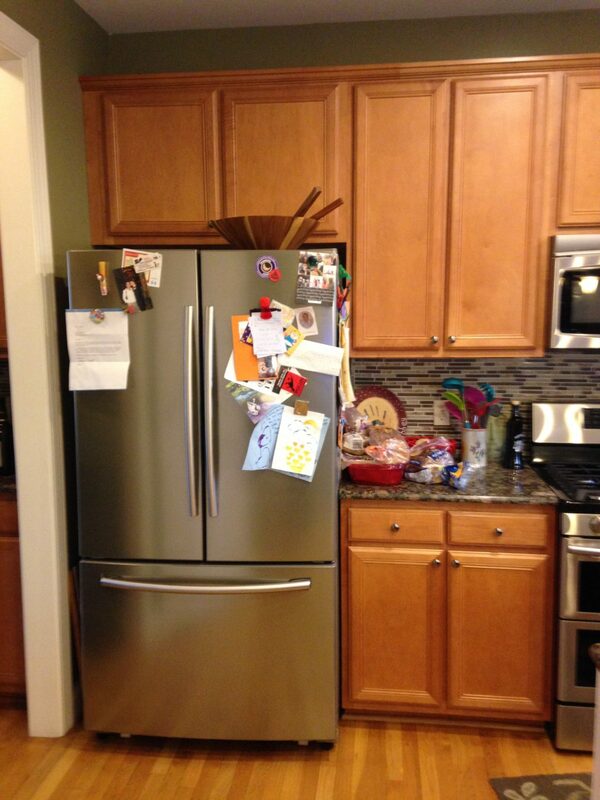 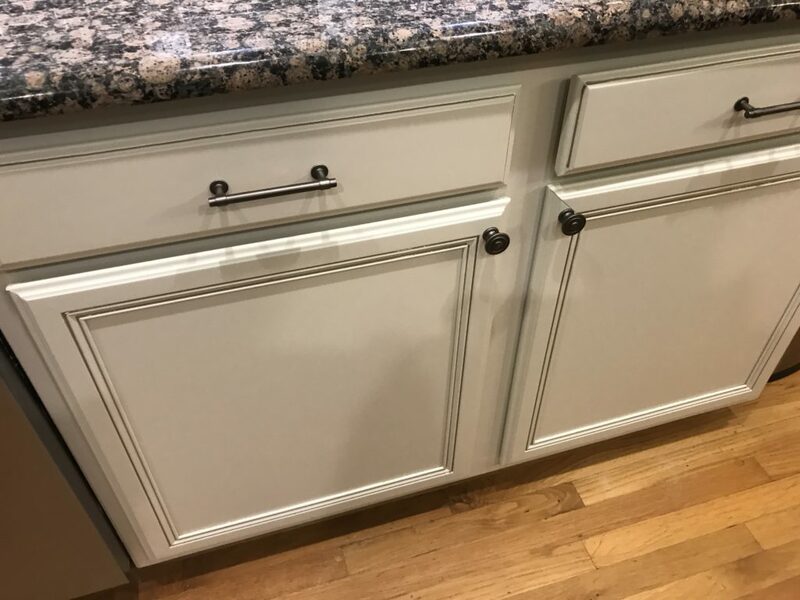 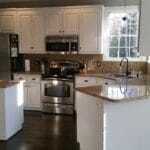 The white we used on the cabinets is a creamy, slightly greenish white, called November Rain. 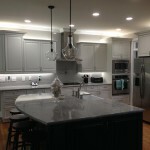 The gray used on the island also had green undertones. 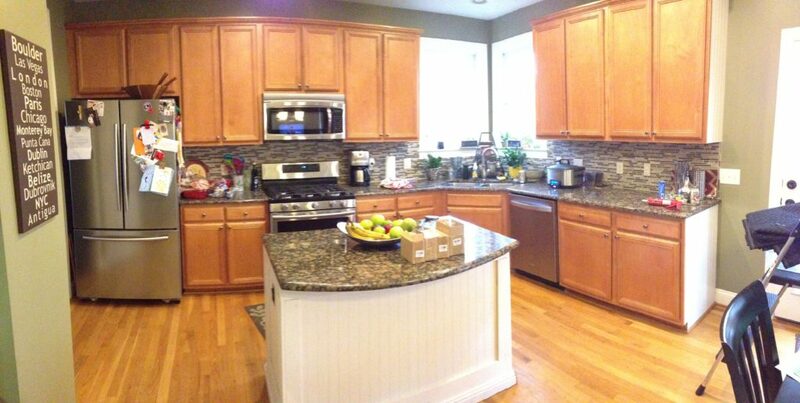 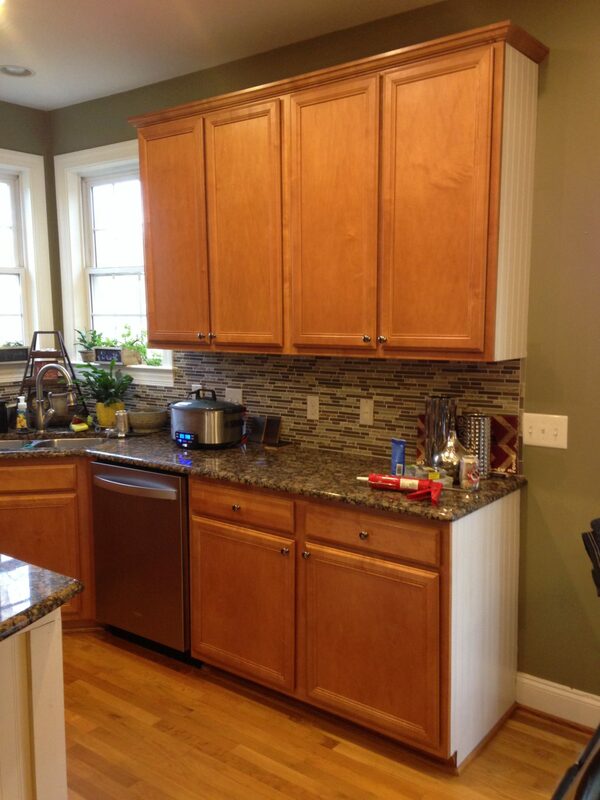 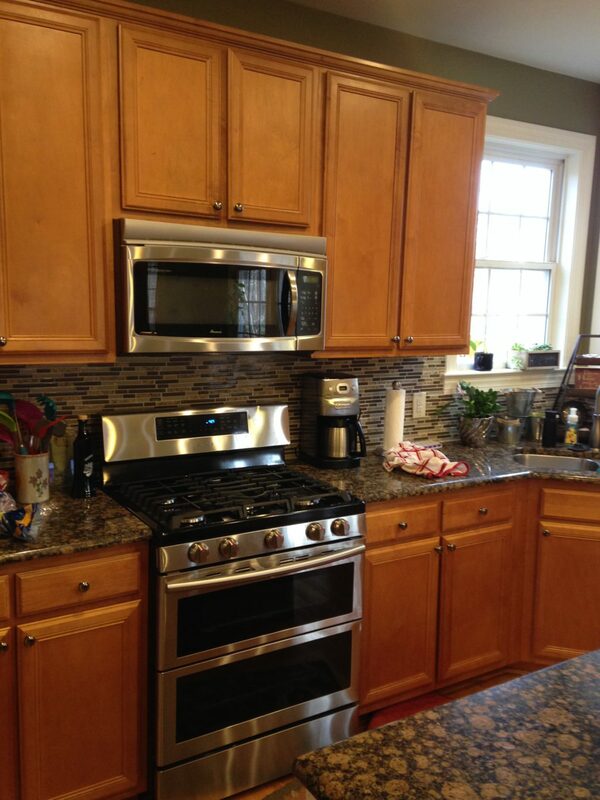 These similar undertones helped the 2 colors blend not only with each other but with the backsplash as well. 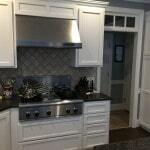 On top of that, we used the same gray as the pinstripe glaze on the doors. 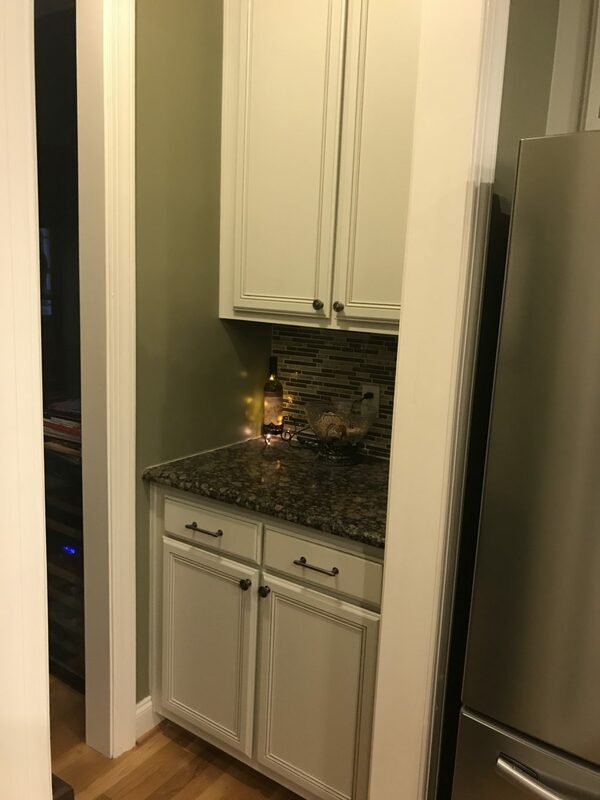 This created a seamless look.